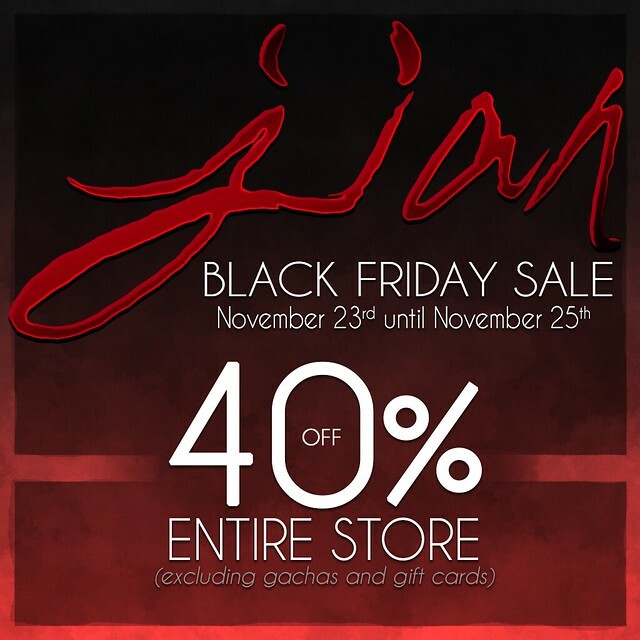 Jian too will be having a Black Friday sale this year! And this time, we're going double from last year..
40% off our entire store excluding gachas and gift cards! Grey Foxes & Blackberry Bushes @ FaMESHed!